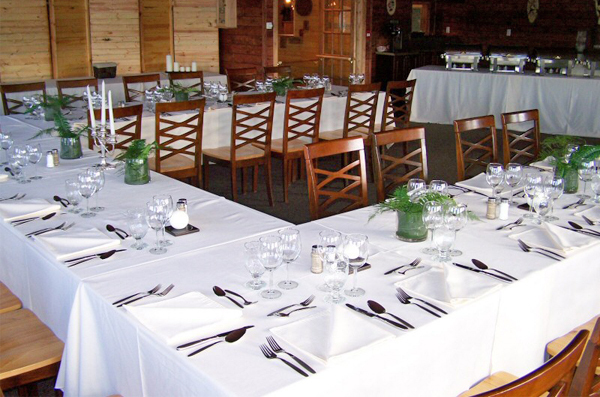 OPEN YEAR ROUND at Ahmic Lake Resort, The Swiss Country House Restaurant serves authentic Swiss and Canadian cuisine! Overlooking beautiful Ahmic lake our restaurant features traditional swiss dishes like Schnitzels, Cordon-bleu, Swiss potato roesti, different steaks, fish... for dessert a homemade apple strudel, butterscotch custard, swiss ice cream coupes, homemade pies, belgian waffles and much more....reservations recommended. LLBO.